Precana is a great program that conveys to couples about life, struggles and solutions in marriage in a comfortable group atmosphere. The morning starts with all couples together and then breaks into smaller groups in the afternoon. A continental breakfast is offered in the morning and a catered meal is served for lunch. Q: WHAT DID YOU FIND MOST WORTHWHILE? "Being able to discuss in groups. I think people find it easier to talk when they know others have similar situations and can share their real life experiences." "Personal stories/advice from Lead Couples and other couples in precana. It was nice to hear they are the same and yet different from us." Q: DESCRIBE YOUR FEELINGS WHILE ATTENDING THE SESSIONS. "I was comfortable and enjoyed the experience. The "game" sessions was fun. "I was very apprehensive to start, but was completely moved and touched by the end. It was a wonderful experience that all engaged couples should attend no matter what religion they are." Q: WHAT IS ONE PIECE OF WISDOM WILL YOU TAKE HOME WITH YOU TODAY? "To absolutely work together as a couple and take care of each other." "The importance of Conversation & communication in relationships. The importance of keeping our relationship young and fresh and open." "You are getting married "IN" Church not "AT" Church." Precana is a mandatory workshop that needs to be completed before you are married. The Parish of the Holy Family offers a one day session and the fee is $75 (non-refundable). join your right hands and declare your consent before God and his Church. and to extend every possible courtesy to wedding parties. The Catholic Church provides three different forms of celebrating the Rite of Marriage. When two Catholics are marrying, the celebration will normally take place within a Mass. The second form, which is suggested to do outside a Mass, is used when a Catholic marries another baptized Christian. There is a third form, which also does not include a Mass, for a Catholic marrying someone who is a non-Christian. You should choose one of these forms in conversation with the priest or deacon who will witness your marriage vows. Within each of the three forms of the Rite there are additional choices. For example, you can select biblical readings, blessings, and prayers from the approved texts. You can also choose friends or family members for different roles in the ceremony, such as readers and those who assist with the Eucharistic gifts and the distribution of Holy Communion. Making these choices with your future spouse and with the priest or deacon can help you to learn more about the Catholic understanding of marriage and to become more deeply involved in your celebration of it. 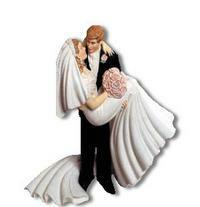 at least six months to a year ahead of your desired wedding date. 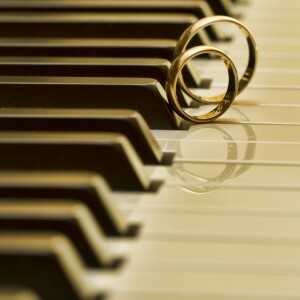 Wedding music options may be viewed and heard by clicking on the image above.